With Vistalegre Property Rentals - Puerto Vallarta, it is an easy and rewarding experience to find the perfect rental! Established in Puerto Vallarta in 2008 on the premise that great people, working in harmony and unity can provide superior Property Management, Vacation Rental and Property Rental services. To this day Vistalegre Puerto Vallarta Rentals is comprised of 20 unique and hard working people, that together form a bond and team that is greater in whole than each one individual. 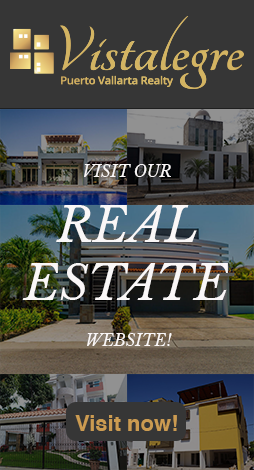 We come from countries all over the World and backgrounds of various upbringings, but together, our collective passion is to provide you with the best management services and ensure that your investment property is cared for in a professional manner and your financial expectations are exceeded. If you read no further, just know, that the collective members of Vistalegre Rentals, in whatever responsibilities and capacity we carry individually, that our team works for you. We are a legally established firm, in Mexico. Our staff is legally employed and all benefit from health care and social security, to ensure that even our staff is cared for now and well beyond their time with Vistalegre Rentals. All 20 of us gather each morning to review the days past and learn how we can achieve even higher results today. Whether you are responsible for property maintenance, cleaning services, accounting, marketing, sales or whatever your job may be today, the entire 20-member staff at Vistalegre Rentals is working on your behalf. 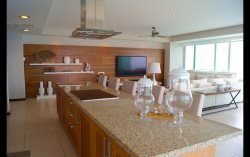 Beyond the professionals that created and continue to evolve this enterprise into the top management and vacation rental firm in Puerto Vallarta, we also employ the latest technologies available to us, to ensure that we do everything in our power and ability to service each and every client we come into contact with.